Offering you a complete choice of products which include polypropylene ball valve, single piece valves, pp threaded ball valves, pp ball valves, pph ball valves and pvdf ball valves. We are leading manufacturer and supplier of Polypropylene Ball Valve. We obligated to meet the quality standards as per the customer demand. We are engaged in offering Single Piece Valves that allows fluid like liquid or gas to flow through it in only one direction. 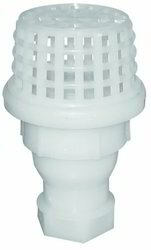 These valves are commonly used in household items. These valves require a minimum upstream pressure at which the valve will operate and ensures optimum performance. Our organization has established as a key player in the field of offering a wide range of PP Threaded Ball Valves to the customers. These valves can be availed by the clients in various specifications. The offered ranges of valves are flexible in nature. Offered ranges of valves are highly unbreakable and rust-resistant. Our organization counted among the leading names of the industry engaged in offering premium quality PPH Ball Valves to the clients. The offered arrays of valves are available to our clients in a wide range of specifications to suit their requirements. 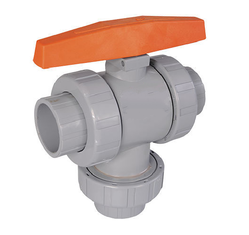 These valves are known for their durable, rust-resistant and easy to installation features. Moreover, to ensure the quality, the offered product is tested by our quality controller professionals against different quality parameters. 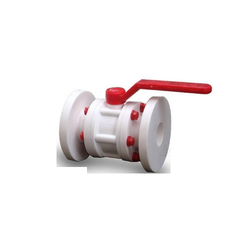 We are enlisted among the prominent organizations in the industry, engrossed in offering a quality assured PVDF Ball Valves to our reputed clients. These valves can be availed by the clients in varied specifications at leading market prices. 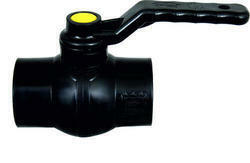 These valves are known for durable, sturdy construction and easy to install. Offered valves are available to clients in multiple thickness and length specifications to fulfill the requirements of our clients. To meet the changing demands and needs of our valued customers, we are offering a wide range of Three Way Ball Valves in the market. Our offered array of wires is used in various industries for their hassle free performance and longer shelf life. We are offering these at a low market price. These valves are used for controlling fluids and help in preventing the migration of the fluids out of the valves or other valve mechanisms. We are engaged in offering our customers with Flanged PP Ball Valve, which is known as precision molded ball valves. Available in different designs like screwed and flanged end, these are also offered by us in single and three-piece designs. These valves are also available to us in cast iron, gunmetal stainless steel, cast steel and are known for their optimum output at various industrial applications. 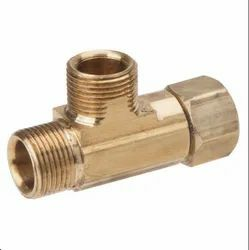 We are one of the leading manufacturers and supplier Compression Brass Fittings and Brass Saddle. We are one of the leading manufacturer and supplier. Size 1 TO 6 "
Size range - 1"/ to 6"